The Los Angeles County Museum of Art is distinguishable from other US encyclopedic museums in three aspects: it is the largest North American art museum west of the Mississippi; it is the youngest encyclopedic museum in the United States; and it is situated in one of the most ethnically diverse metropolises in the world. These characteristics interact in a number of meaningful ways under the museum’s current leadership, allowing its local and global ambitions to complement one another. LACMA is in a moment of transition, and as it rebuilds itself it embraces this local/global dynamic in its mission to provide a “translation of [our] collections into meaningful educational, aesthetic, intellectual, and cultural experiences for the widest array of audiences.” In studying the museum’s complex history, its current programs and operations, and its plans for the future, a portrait emerges of an institution experimenting with bold methods for both increasing accessibility and actively engaging an underserved public. This report explores LACMA’s efforts to break down barriers between departments, better understand their communities and environment, and develop connections between the museum’s civic responsibilities and pursuits toward reflecting Los Angeles. Establishing a Civic Space: By increasing its profile and reflecting its environment, LACMA has become an integrated cultural space in a city that is both highly diverse and highly segregated. Staff see this as a civic responsibility for a county museum. Audience Engagement: LACMA staff think critically about how to be good hosts to the public, and they often use contemporary art as access points for cultural conversations. To this end, education and curatorial departments achieved a high degree of collaboration, founded on mutual respect for one another’s expertise. Decentralization: Urban planning and environmental factors create barriers to accessing LACMA for many Los Angeles residents. LACMA is finding spaces outside the walls of the museum for its art, and working with the county of Los Angeles to build satellite locations. Budget: Training, mentoring, and building a diverse program and pipeline takes resources, both in terms of labor and capital. LACMA has had to learn when to be flexible and when to be stubborn when funding efforts towards equity, diversity, and inclusion. Nonhierarchical Approach: Building consensus among staff through nonhierarchical means is an effective way to align staff, but it takes time and requires patience. Los Angeles County comprises slightly over 4,000 square miles of Southern Californian land, includes 88 cities, and roughly 10 million people. Its GDP, at $664 billion, falls between that of Switzerland and Saudi Arabia. Located on the Pacific coast, proximate to Mexico, the region serves as a point of entry to the United States for many cultures. Los Angeles is the largest of those 88 cities, and the second-largest city in the United States, with a population of nearly 4 million. For decades, it has been a “majority minority” city, and home to many distinct ethnic communities. The city has one of the most diverse populations in the United States, and indeed in the world: the largest Hispanic population in the US resides in Los Angeles, as does the largest Asian population. Los Angeles played a significant role as a settling point during the Great Migration, gaining a large African American population who fled the Jim Crow South in the twentieth century. The city is home to a variety of ethnic enclaves, with prominent populations of Armenian, Turkish, Iranian, Korean, Thai, Cambodian, Vietnamese, Chinese, Filipino, Indian, and Japanese immigrants, among others. The Los Angeles County Museum of Art’s origins and development are closely related to the growth of the city. When its predecessor, the Los Angeles County Museum of History, Science, and Art opened in 1913, Los Angeles was experiencing a rapid expansion. In 1870 its population was less than 6,000 people. Fifty years later it was over half a million. Embedded in that expansion is a history of social unrest. From genocide of Native Americans and lynchings of Chinese immigrants in the nineteenth century, to disenfranchisement of African Americans and Latinx in the twentieth, Los Angeles has been a site for minority communities to organize, fight for equal rights, and represent the distinctive cultures that both compose and challenge notions of American identity. As the county’s museum, LACMA has been uniquely positioned to reflect these expressions. In some cases, its constituents have protested the museum’s failure to do so. Throughout the 1960s, protestors attempted to address the museum’s homogenous representations of culture, both in terms of race and ethnicity, as well as gender. In one instance, a group of roughly 150 demonstrators, many of them artists, marched in protest of a modern art exhibition called Seventeen Artists of the 60s (1981), which featured only white men. Among the ranks of protesters was artist Carol Nieman, who was quoted by the Los Angeles Times: “A person who goes into a public art facility—maybe for the first time in their life—could walk in and by the fact that all the work on the walls in this particular show was done by white males, draw the conclusion that all artists working here in the 60s and 70s were white males. That’s simply not true.” This statement from nearly 40 years ago echoes concerns that are all too familiar as museums still struggle to reflect the diversity of their communities. Partially as a result of similar protests and grassroots movements within and outside the museum walls, LACMA became a leader in representing African American art in the latter half of the twentieth century, as Kellie Jones explains in South of Pico: African American Artists in Los Angeles in the 1960s and 1970s. In 1965 Melvin Edwards had his first museum exhibition there as part of Five Younger American Artists. In 1968 the museum held an exhibition titled Sculpture of Black Africa—The Paul Tishman Collection. When attendance from the African American community was low, LACMA staff gathered and appealed to the museum’s security guards, who were mostly black, to develop a strategy to bring the black community to the exhibition. The result was the Black Culture Festival, which drew 4,000 people to LACMA. In 1971 the exhibition Three Graphic Artists included Charles White with emerging artists David Hammons and Timothy Washington. The next year, the exhibition Los Angeles 1972: A Panorama of Black Artists invited 50 black artists to display their work in the museum. And in 1976, aligned with the bicentennial, LACMA held a large historical exhibition, Two Centuries of Black American Art. These exhibitions were helpful in establishing the careers of many black artists, and brought prominence and material security to some of the Los Angeles–based galleries supporting their work, such as Brockman and Heritage. Such institutional support for the visual culture of African Americans was negligible at the time, on a national scale. But, the museum did not become a presence for many Los Angeles residents until fairly recently. One employee recalled that when she began working at LACMA, most municipal departments weren’t even aware the city had an encyclopedic museum. Museum staff were strikingly consistent in describing LACMA as “sleepy” and “stuffy” until roughly the last decade. Under the leadership of current director Michael Govan, the museum has worked to change this perception. In LACMA, Govan saw an institution ripe for transformation: as the youngest encyclopedic museum in the country, the museum could be redesigned in ways other beaux-arts structures could not; as the largest museum west of the Mississippi, there was potential to become a central hub for Angelinos; and, the location of southern California meant that diversity was a central element of the museum’s goal to reflect its environment. 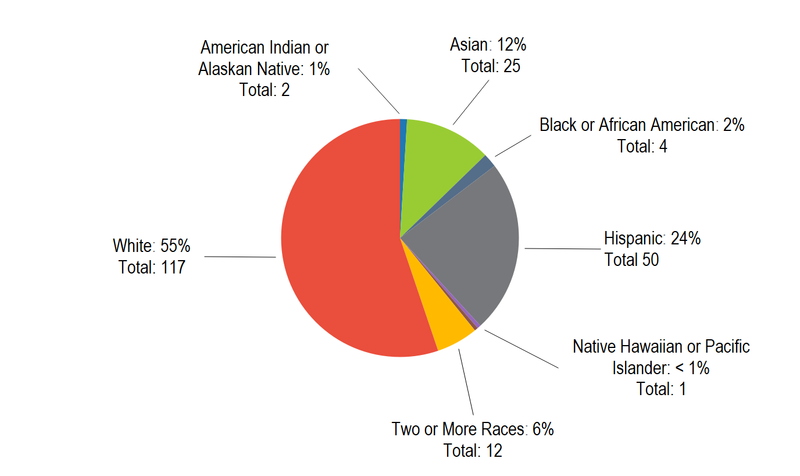 When we surveyed museum staff in 2015, LACMA stood out as one of the few large museums composed of roughly 50 percent employees of color. 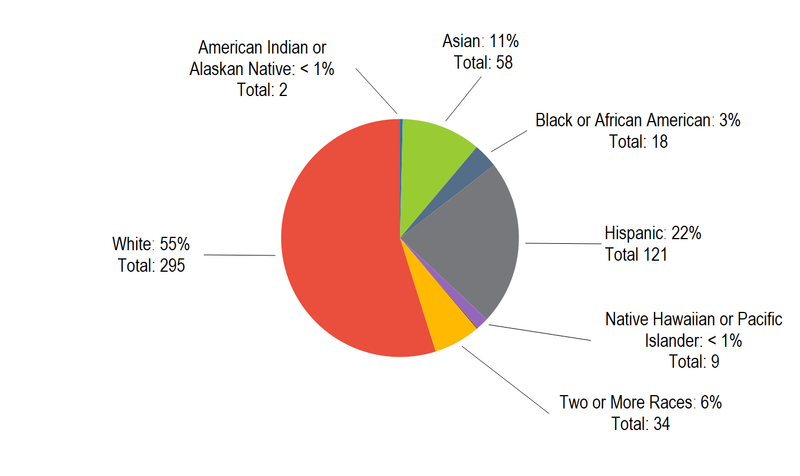 Figure 1 shows that while the black or African American population is underrepresented, there is a strong representation of Hispanic museum professionals. Figure 1. LACMA Employee Demographics. While most museums show a steep decline in the ratio of employees of color in education, curatorial, conservation, and senior administration positions, there was no such drop at LACMA, as can be seen in Figure 2. These data suggest that barriers to “intellectual leadership” may be less present at LACMA than elsewhere. Figure 2. LACMA Curators, Conservators, Educators and Senior Administrators. If you have a diverse curatorial pool, and an upper-level administration that doesn’t even question it, you curate differently, tell art history differently. These figures prompted questions of quota-driven diversity efforts. But when asked, we heard from staff and board members that the transformation came from an emphasis on diversity as a core value of the museum. As Bay put it, “I think rigid goals are more confining versus broader thematic goals that allow you to come up with creative solutions. We have goals that align with values, not numbers.” Articulating diversity as a value and developing consensus among staff is a gamble; it is more difficult to measure progress when there isn’t a box to check off. Alternatively, measuring diversity with the familiar representational metrics can lead to reductive thinking, failing to account for a variety of intersecting identities. Govan emphasizes patience when working to bring about organizational change: “There are two ways to do it. One is to say, ‘I’m going to restructure the administration.’” This approach, from his perspective, can lead to discontent and exodus. “My view is the opposite. You have the long vision and seed with people and then be willing to take time, make sure that every new hire is tested against that model. Then, hopefully, lo and behold you get what you wanted, but without top-down.” Govan has seen that this nonhierarchical approach can be challenging when it comes to persuading certain staff of the values of diversity: “Diversity has been a tough one. A lot of the usual, ‘Well, we can’t think about diversity, we have to think about quality.’ It’s a classic lack of awareness of implicit bias.” But Govan is intent that the museum needs to reflect the people of Los Angeles. In this pursuit, he tries to avoid granting racial diversity primacy over other types of diversity: “I try to make sure it’s not just about skin color, because that is also a problematic in this discussion. Yes, we do need to change the numbers, because we often categorize demographics that way, but economic diversity is just as important.” As staff are invited to own the organizational mission rather than survive a reorganization, a variety of interpretations will naturally emerge as they interact these ideas with their lived and professional experience. Whether these emergent views complement or compete with each other can be difficult to parse, requiring listening, reflection, and guidance from leadership. As such, in our interviews staff often articulated that socioeconomic diversity was equal in importance to racial diversity. In several instances museum employees of color and white non-Hispanic employees alike recognized that in Los Angeles, socioeconomic status can be more reflective of opportunities and access to the arts than the binary white non-Hispanic/person of color distinction. Elucidating these observations, one recent UCLA study found that a focus on the intersection of race and wealth yielded a clearer view of disenfranchisement in the city than race alone: “White households in Los Angeles have a median net worth of $355,000. In comparison, Mexicans and U.S. blacks have a median wealth of $3,500 and $4,000, respectively. Among nonwhite groups, Japanese ($592,000), Asian Indian ($460,000), and Chinese ($408,200) households had higher median wealth than whites. All other racial and ethnic groups had much lower median net worth than white households—African blacks ($72,000), other Latinos ($42,500), Koreans ($23,400), Vietnamese ($61,500), and Filipinos ($243,000).” Los Angeles is among the top ten cities in the country in terms of the severity of the wealth gap. However, the study did not show the standard deviation in wealth within these groups, obscuring class disparities within racial/ethnic categories. While some staff are focused on socioeconomic barriers to access, others emphasize that the museum cannot take for granted a spirit of racial inclusion. Anecdotally, some LACMA staff shared that the international draw of Southern California and the high degree of wealth in the region mean that racial diversity often is not a proxy for socioeconomic diversity, because there are many wealthy communities of color. But there was not total alignment with this perspective among staff. When asked about access to the museum, one employee of color was critical of the view that the primary barriers to access in the museum were socioeconomic, saying she, “would love for it to be true that access was more about class than race.” From her perspective, more needs to be done to make the museum welcoming to people of color. She has found that certain didactics have included exclusionary language: “Our job was to catch it and make sure we were more welcoming in the way we did our didactics.” While some staff are focused on socioeconomic barriers to access, others emphasize that the museum cannot take for granted a spirit of racial inclusion. One of the ways LACMA has lowered the financial burden for Angelinos and the broader public is through their youth program, NexGen. The program allows anyone under the age of 17 to gain admission to the museum for free and also grants one free adult admission to the member per visit. There are over 200,000 members of the program. Over 11,000 members come from low-income zip codes, defined as households earning under $32,000 per year. Within this context, LACMA’s staff are working to make the museum “Los Angeles’s living room.” The increased attendance is indeed staggering. For years museum attendance had plateaued at 600,000 visitors. But in the last decade attendance has risen to 1.4 million and is still on the rise. Govan describes the 600,000 visitors the museum had comfortably drawn for years as the “traditional audience.” To get to 1.4 million, they had to reach out to communities that hadn’t previously felt that the museum was for them. In addition to NexGen, an important aspect of LACMA’s success in increasing attendance and raising the museum’s profile was a strategic investment in public art, accessible outside the museum walls. Diana Vesga, chief operating officer, described the public art on LACMA’s grounds as an essential component of this vision: “The front of the museum is packed at 1am. We’ve had to put guards out in the middle of the night. It’s a young, diverse demographic. Our public sculptures have become a point of engagement for an audience that has been elusive to museum. Eventually they venture into the galleries. We’re the only museum that can say it tripled attendance in such a short time.” When asked about his strategy for raising the museum’s profile, Govan said he “cut the advertising budget,” favoring an investment in several high-profile public installations that would drive the museum’s media presence. With this approach, the museum succeeded in attracting free media coverage through focusing on programming and its collection, rather than paying for advertising. As Govan put it, “What is a museum marketing budget, $2 million? It takes $20 million to market a B movie. 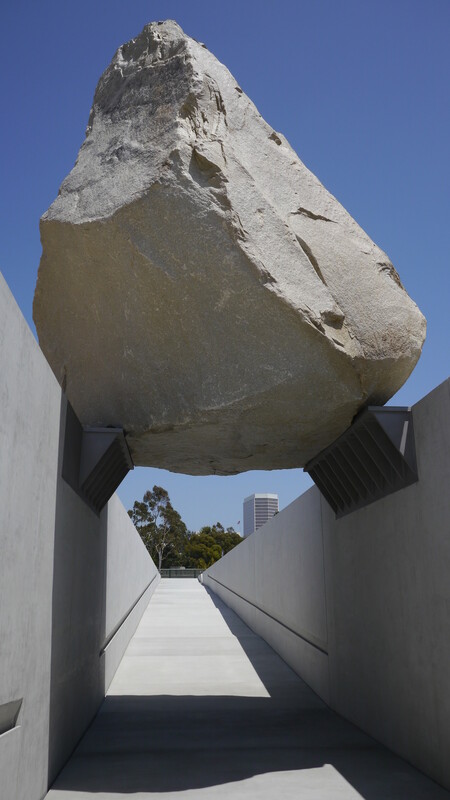 There’s not enough resources to do it right, so don’t try.” By bringing works like Levitated Mass and Urban Light to the grounds of LACMA, the museum has become an iconic cultural space on the West Coast, driven in no small part by visitors’ social media engagement. LACMA is now the fourth-most Instagrammed museum in the world. The Louvre, the Met, and MoMA, respectively, occupy the first three positions, each with an audience multiple times that of LACMA’s. Presenting sensational art outside the museum walls is not the only way LACMA has reflected a Los Angeles sensibility for the public. As senior deputy director Nancy Thomas described in her essay, “Collections in the First 50,” “LACMA in the last decade has carved an identity befitting LA: a contemporary and multicultural attitude that acknowledges both the demographic makeup of its community and its geographic position in the world, adjacent to Latin America and facing the Pacific.” The museum boasts some of the largest domestic collections of art of the Pacific Islands, Islam, the Ancient Americas, Korea, Latin America, Southeast Asia, and a growing African art collection. Diversity at LACMA is symptomatic of community engagement, rather than being an end in and of itself. The process begins by making the collection and program reflective of their environment—by becoming a museum of and for Los Angeles. To finance efforts towards increasing diversity, equity, and inclusion in the workplace, LACMA has had to be both stubborn and flexible. In one instance, Vesga had determined that it was important for all museum staff to undergo diversity training. While some funds were available through a grant to provide training specifically to curators, Vesga felt strongly that the training shouldn’t be focused on a single department. She used her own department’s budget for the training instead. “It has to be a priority, a decision. You need to demonstrate your actions and allocate resources to follow speech,” she said of the decision to draw from her own budget. In other cases, the museum has to be creative in its allocation of funds. According to Jane Burrell, senior vice president of education and public programs, for the education department the primary barrier to reaching underserved communities is a lack of financial resources. In the 1990s, Burrell says the favorable climate of corporate philanthropy led to large budgets for programming around exhibitions, often over $100,000. Now they are lucky if there is $20,000 in the budget for programs, she says. Since the ‘90s the steep decline in corporate philanthropy and the declining interest in adult education has made it more important for the museum to be creative in its budgeting for public programs. The shift toward considering the visitor’s experience in a museum can sometimes be framed as an invitation, creating a sense of welcome. Occasionally, though, it is framed differently—as an opportunity for the institution to learn about itself. José Luis Blondet is the curator for special initiatives at LACMA. He currently works as a curator in the education department, in a role Govan created for him. As a result, he has an unusual perspective when it comes to the dynamics between educators, curators, and audiences. There are three kinds of archives for a curator to study, as Blondet sees it: collections, documents, and audiences. “We need to treat the history of audience as a living archive,” he explained. Through this framework, Blondet focuses his work on creating access points for audiences to contemporary art, bringing the expertise of both a curator and an educator. “It’s not dumbing down,” Blondet said; “I hate that expression.” Rather, creating access points involves “playing by the rules the artwork has proposed.” In some cases this can leave a work difficult to understand, or even off-putting. Blondet wants to grant the audience permission not to like everything, and to approach contemporary art with their own language, rather than relying on inside-baseball discourses that can feel exclusionary. While it is the central focus of the Broad Contemporary Art Museum (BCAM)—a 2008 addition to the LACMA campus and host this year to multiple PST:LA/LA exhibitions—contemporary art is also integrated into historic collections in several instances, creating access points between the present moment and ancient works. For instance, the galleries on the fourth floor of the Art of the Americas building progress chronologically, exploring art of Ancient Americas, colonial art of the Americas, and finally contemporary works from Latin American artists, such Roberto Matta’s Burn Baby Burn (1965-66), which represents the Watts riots. Curator and department head of Latin American art, Ilona Katzew, said she included the contemporary gallery at the end of the progression to create a sense of continuity with the present, thereby connecting museum goers’ experience of historical collections with events that have shaped the modern landscape of the city. In the adjacent building, Linda Komaroff, curator and head of the art of the Middle East department, has made this practice central to her curation of traditional Islamic art. On display amid medieval works are contemporary pieces by Arab artists whose work “builds creative links between the past, present, and future” of Islamic culture. Komaroff described an epiphany she had at an exhibition at the Tate Modern Museum in London several years ago. The installation, which displayed the journals of contemporary Islamic artists, succeeded in engaging the audience in the artists’ lives, a challenge she said she has struggled with in Western settings: “People were looking at the journals and engaging with Islamic art in a way that they hadn’t before.” In observing the audience’s response to the exhibition, Komaroff’s relationship to her own curatorial practice was transformed. In her view, the contemporary works “draw in people who wouldn’t otherwise care,” and she sees it as her job to build empathy by displaying Islamic culture to an American audience. Now she actively pursues contemporary Islamic art and integrates it with older works. She observes that this method works particularly well with youth: “Kids are mesmerized when the images look like them. It’s more interesting! The younger you are the more, well, narcissistic you are. So that’s where you start. Rather than search far and wide, why not change the generation before, change their attitudes to want to pursue this, to feel included and welcome. To feel intrigued. You no longer grab kids based on history, they are more interested in present.” In this sense, Komaroff’s curatorial practice has come to embrace an effort typically associated with the work of education departments. Both curators and educators at the museum recognize the collaborative spirit that has developed at LACMA as unique. “Educators are often seen as policing curatorial,” Virginia Moon, assistant curator of Korean art, said of the field. “Here at LACMA it’s the complete opposite.” This was a common refrain among the museums profiled in the case studies; when an education and curatorial department achieve a healthy collaboration, staff consider it remarkable. At LACMA, educators are thought of, in some sense, as translators—versed in the language of curation and art history, but also deeply familiar with the communities they serve. 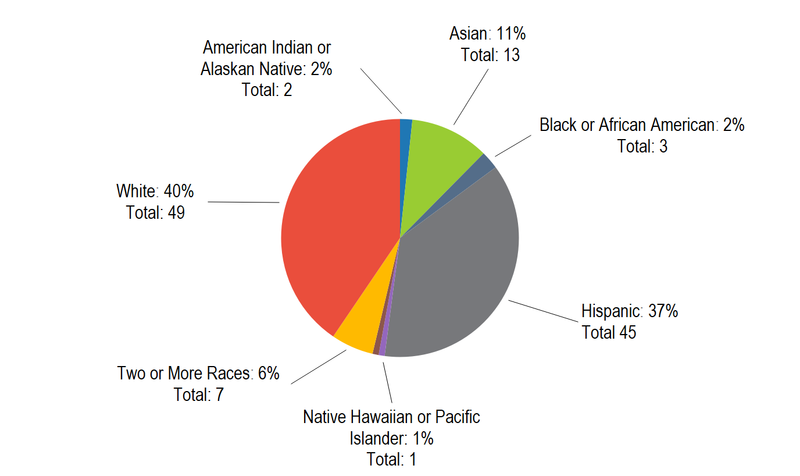 Nearly half of the educators are Hispanic, matching the population of the city, which is 47 percent Hispanic, as seen in Figure 3. Staff reported that it was essential for educators to be of the communities they serve, in order to build trust and strengthen connections. Burrell told us, “We want people who are bilingual” in the education department. In addition to representing a prominent ethnic community, at LACMA many museum educators have expertise in an art history field, whether through an undergraduate or graduate degree in art history, or curatorial experience. LACMA is the rare museum where curators, such as Blondet and Burrell, have transitioned into education departments. This has cultivated a high degree of trust. 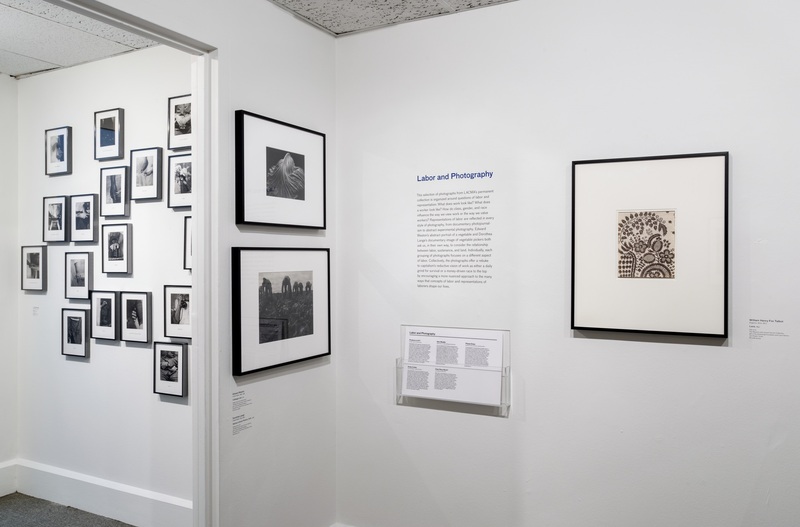 Educators respect the scholarly approach, and curators also recognize that many LACMA educators bring the perspective of the community they are trying to reach, a valuable asset. Orozco-Valdivia is one of a number of students who have engaged in curatorial fellowships intended to diversify the field. Gonzalez told us that these efforts are beginning to yield results: “I’ve seen it in the Getty’s multicultural undergraduate internship program; I’ve seen it at least in effect here at LACMA, seen how that internship program has diversified SoCal landscape. You see people who had their first internship through [the Getty] program. Starting to see it through Mellon fellowship as well.” LACMA recently hired a Mellon undergraduate curatorial fellow from one of its partner museums, the Museum of Fine Arts, Houston. Gonzalez recognized the value of mentorship in her current position at LACMA, giving credit to Noriega for guiding her curatorial vision. Mentoring is “hugely significant” for diversifying the field, she said. As LACMA transitions from a seismically vulnerable collection of buildings that have constituted its primary gallery space since moving to Hancock Park in 1965, the museum’s collaborative ethos is being incorporated into the architecture of the space itself. Designed by Peter Zumthor as an expansive, winding structure, which will span both sides of Wilshire Boulevard, LACMA’s new home is projected to open in 2023. Reflecting the composition of Los Angeles, it will have no facade, no grand front entrance—rather, it is flat and sprawling. Its galleries will consist of a single floor, meandering above a public park. The exterior walls of the museum will be glass, with light-friendly art displayed around the perimeter of the building, viewable from the park below. Current projects at LACMA are also a test for a radically different future for the museum as it relates to the city: namely, a decentralized network of museums and partnerships connecting LACMA’s permanent collection to underserved communities. Prior to assuming directorship of LACMA, Govan tested this model for deepening civic engagement as director at Dia:Beacon, the expansive contemporary art museum 75 miles north of New York City. Govan described a then-prominent view in the field that art museums needed to reinforce commitments to cultivating and researching their collections, and that public engagement was incidental and would result naturally from those efforts. Govan approached this view with skepticism, preferring a multifaceted approach. Indeed, Dia:Beacon not only boasted a world-class collection, but also cultivated relationships with local government with the goal of bringing growth to the area. The experience of connecting an art museum to the public drew him to LACMA. 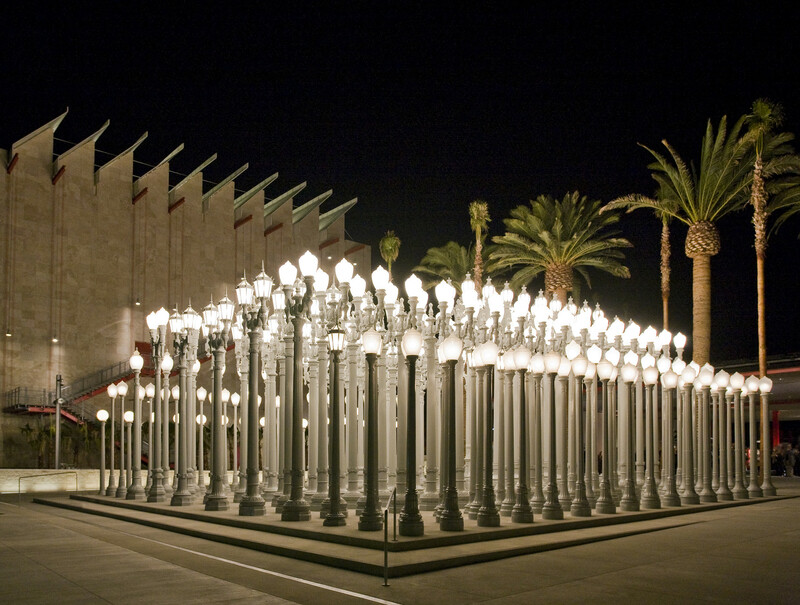 Of LACMA’s present relationship with the city of Los Angeles, he says, “It’s a county museum. The public has a stake in it. You’re dealing with politicians, which is complicated, but it means you have access to other issues. My lunches with supervisors are about homelessness and mental health as much as they are about art.” In observing Govan’s choice to pursue deeper connections between the art museum and county government, something of his approach to leadership can be gleaned: each of his present efforts is, in fact, a test for a future effort that is more ambitious by orders of magnitude. If with Dia:Beacon Govan was testing a model that would be scaled up in LA, current projects at LACMA are also a test for a radically different future for the museum as it relates to the city: namely, a decentralized network of museums and partnerships connecting LACMA’s permanent collection to underserved communities. While this process is still in early stages, current strides speak to its potential viability. At “Communicating the Museum,” a conference held in Paris weeks prior to the site visit, Burrell along with colleague Miranda Carroll delivered a presentation focused on making the museum more relevant to the public in the wake of declining attendance across the sector. The presentation explored the ways in which LACMA has engaged historically underserved communities with a strategy of getting outside the walls of the museum. Burrell described a shocked audience. By the end of the presentation, “they were all amazed with how much LACMA does outside the institution,” she said. Indeed, LACMA’s efforts extend well beyond the standard museum commitments to school visits. For instance, they are making long-term investments in permanent physical spaces, bringing LACMA’s collections into satellite facilities. The first iteration of this was in Charles White Elementary School, five miles east of the museum. Through an initiative called Art Programs Within the Community: LACMA On-Site, LACMA worked with School District 4, identifying an opportunity at Charles White Elementary, a school which was formerly the campus of Otis Art Institute and still includes a dedicated art gallery. LACMA filled the gallery with exhibitions of both commissioned art and pieces from its collection. Govan’s “inherent skepticism” toward hierarchy extends from his management style to his views about the physical spaces that house and display art. “I know architecture and environment is destiny,” he said. “It expresses a worldview, political point of view. So, if there’s a chance to rebuild the image of the museum from a stone block on the top of the stairs, man, this is the place to do it.” By flattening the gallery space and incentivizing collaboration between curatorial departments, Govan hopes to build access into the very structure of LACMA’s central location. By partnering with the city to establish branches throughout Los Angeles, Govan hopes to deepen connections with communities historically excluded from engagement with mainstream art history. Sweeney, Liam. "Reflecting Los Angeles, Decentralized and Global: Los Angeles County Museum of Art." Ithaka S+R . Last Modified 23 January 2018. https://doi.org/10.18665/sr.306187.